Roof Pitch - What is it and how will it help you with your home? There are many different types of roofs, which means there are many different pitches your roof could be. First you may want to understand what a roof pitch is and why it matters. Knowing the pitch of your roof pitch is helpful to know when you are considering how much it will cost you to replace your roof. It is also helpful to know the pitch as it may explain why you are experiencing the same leaks, ice damming or issues, year after year. The angle, or pitch, of a roof is calculated by the number of inches it rises vertically for every 12 inches it extends horizontally. 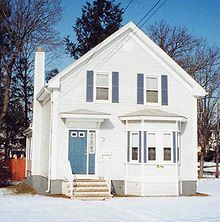 The most common pitch is the Gable Roof which is also referenced to as a peaked roof and has a triangular shape. Gable roofs will easily shed water and snow and provide more space for the attic to allow more ventilation. 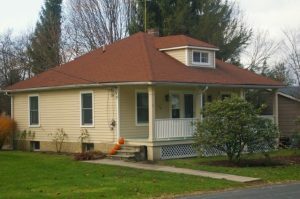 The second most common pitch is the Hip Roof. A hip roof has slopes on all four sides which are all equal length and come together at the top to form a ridge. Hip roofs are sturdy and durable and are excellent for both high wind and snowy areas. The third most common pitch the Mansard Roof, which is also known as a French roof. A mansard roof is a four-sided roof with a double slope on each side that meet forming a low-pitched roof. The lower slope is much steeper than the upper. The sides can either be flat or curved, depending on the style. There are many other styles of roof with their own pros and cons, but it always best to have a roofing expert inspect the style of roof you have and what method is best to keep your attic free of mold, leaks and critters. 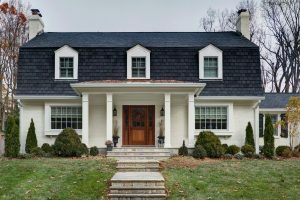 Whichever style of roof you have, it is always a good idea to research the issues your roof may have because of its style and how to correct it. Most decide to have steel placed instead of asphalt as their roof is more complex and would be hard to find an experienced installer to constantly install or repair issues with your roofs shingles.